When you come to Cancun for vacations and to get Dental Implants there are many things you can do. One of the most anticipated dates in the Peninsula of Yucatan is the spring equinox. This astronomical event was a very important day for the Mayan culture, signaling the time of renewal. Chichen Itza is one of the New Seven Wonders of the World. Thousands of tourists come to the equinox, wishing to charge themselves with positive energy and to witness one amazing thing. This particular day of the year, the sun hits the corner of the main pyramid called “El Castillo” (The Castle), and the projected shadow seems to form the undulating frame of a serpent on the main staircase. 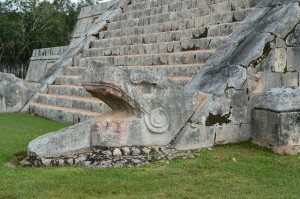 At the bottom of the steps is the head of the Great Feathered Serpent God, Kukulcan. As the light changes position through the day, it seems like the body of the serpent is moving down the stairs. Obviously this is not the only thing to do when you visit Chichen Itza. This is perhaps one of the largest archaeological sites in Mexico and the ancient city still has several other buildings you can explore. 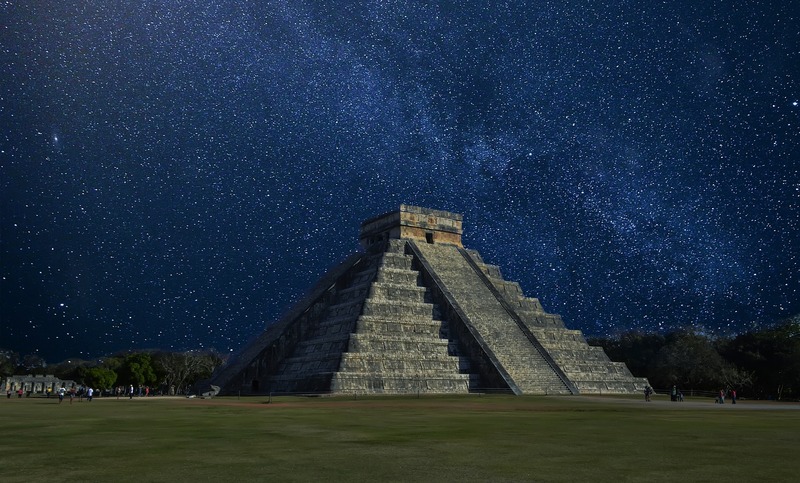 In fact, at night there’s a different kind of event during the month of march… “Noches de Kukulkan” is a night show that uses El Castillo as background to project amazing figures generated by a computer. Myth and technology combine in a superb way to provide an amazing experience. The event doesn’t have an additional fee. It is suggested to bring comfortable clothing, bug repellent and avoid taking pictures with flash. We have many patients who love to visit not only Chichen Itza, but also Tulum and Coba, as well as other smaller sites inside Cancun itself. You wont regret it. As always, remember to call toll free from USA and Canada 1-800-701-6039 to make an appointment for your dental implants in Cancun, or if you are already on vacation in Cancun and want to meet us, you can call the following local number (998) 1-40-51-25.